It was my birthday just last week and I have now well and truly milked the celebrations. I got some really great presents – mostly running related but not all and I couldn’t wait to tell you all about them! If you know any runners with birthdays coming up – get them running presents and I can guarantee you they’ll be delighted! The Nike gilet has got me all excited for the coming Winter season. Whilst many slow down or even completely halt training now that ‘bikini season’ is over, it sparks something inside me that drives me to do more. I get an unexplainable feeling of euphoria when I’m up before everyone else or out running in the cold and dark. Don’t get me wrong, it’s not like I spring out of bed excited to go running in the cold, but once I’m up – it feels good. That feeling of contentment reminds me why I train and how far I’ve come in this journey. As for my new baby, the Osprey; I’m just delighted to be giving back Brandon’s old snowboarding backpack. He kindly gave it to me when I started running my commute home from work and it did the job (to an extent). 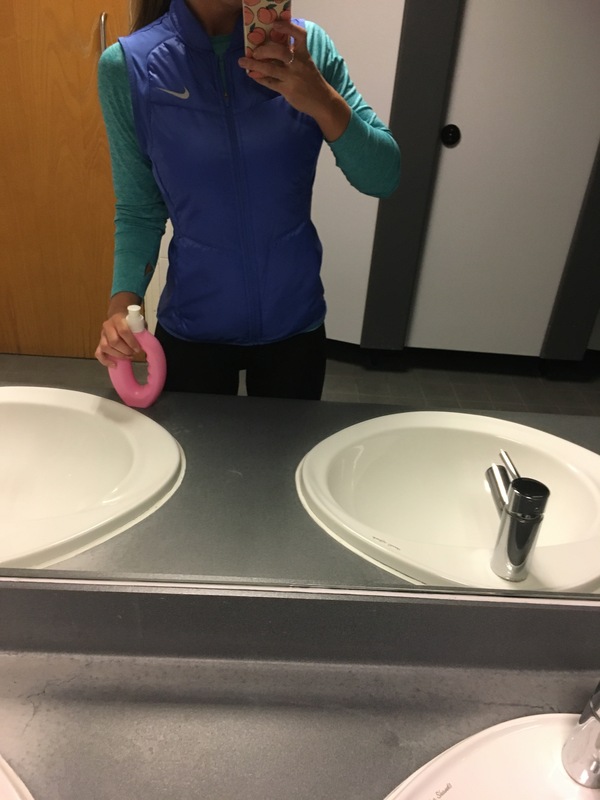 However, as it was not designed for running there was no support around the hips and the straps would burn my shoulders and neck if I was wearing a vest. Not a good look. Running backpacks are not cheap and I’ve always put off the investment but I can now say I am the proud owner of my very own running backpack! 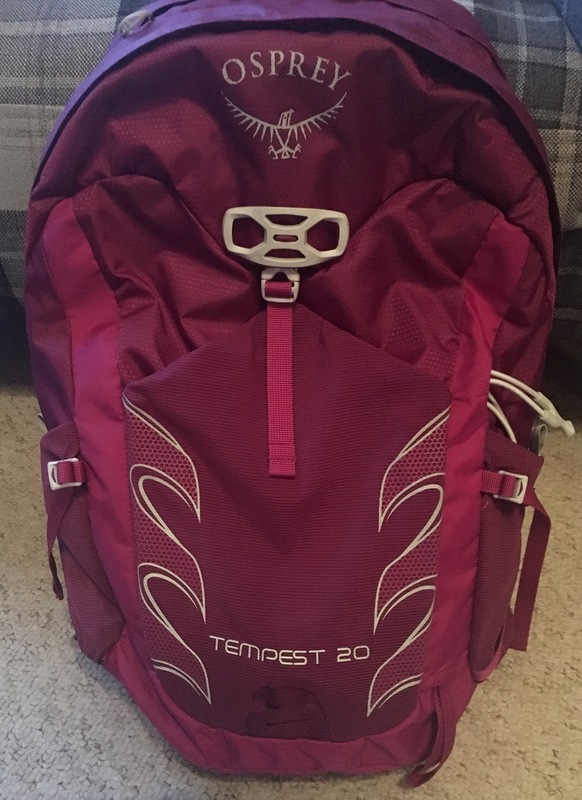 If you are thinking about purchasing a bag for running with, I cannot recommend the Osprey Tempest 20 (the mens version is called the Talon) enough! It’s the perfect size to fit tupperware (if you meal prep), work clothes, a jacket and all your other essentials in to carry to and from work. The straps that go round the hips are padded and so comfortable! It has various support straps – so it takes a bit of adjusting when you first get it – and pockets that you can’t even imagine would exist on a backpack. 10/10. Brandon got me the Lululemon leggings – which we had to order as the store didn’t have them in my size. It was a heartbreaking wait for them to arrive! Whilst waiting, I read some reviews online on this particular pair of leggings and was pretty shocked by what I read. Most of the reviews were negative and detailed how the seams came away or they went baggy after only being used a couple of times. All I could think was ‘oops, maybe I’ve made a mistake in straying from my trusty Nike Epic Run’s’ but I’d wanted a pair of Lulu’s for ages! I made the decision to keep them, try them and if anything happened I would just contact the company. I’ve worn them two or three times now and have no complaints so far. You can barely feel them on your body, they’re supportive and don’t fall down whilst running. They also look pretty great on which is always a bonus – who doesn’t want a peachy bum in their gym leggings?! If you haven’t tried Grenade Carb Killa’s – DROP WHAT YOU’RE DOING RIGHT NOW! They are easily the tastiest protein bar I’ve tried. In terms of texture (that’s where many protein bars go wrong) and flavours, I haven’t found one I don’t like yet and find it pretty hard to pick a favourite. They’re perfect after a long run or heavy lifting session and I find they really fill me up and keep hunger at bay until my next meal. I highly recommend the new flavour – Jaffa Quake. As a former Jaffa Cake consumer, they come pretty close in terms of flavour and satisfaction. I also received some discount codes for a couple of races as a ‘birthday treat’ from the companies who run them and I signed up for a few in 2018. I’ll be posting more about those soon so keep an eye out!